How to begin learning the Jewish mystical and esoteric tradition. Why is Kabbalah traditionally kept secret? In some contemporary circles, you may hear Kabbalah advertised as a source of great power. Yes, there are secrets of the Divine, and ways in which to experience It, but the essence of the Kabbalah, according to some, is that it is a technology for tapping into the hidden currents of power within the universe. Know the code, and you can operate your life more effectively. Such statements are not new; they are part of a long tradition within the Kabbalah that is sometimes labeled “Practical” Kabbalah — in Hebrew, kabbalah ma’asit. Practical Kabbalah includes beliefs in angels and demons, methods for influencing the Divine influx, means of fortune-telling and accessing one’s past incarnations, and so on. For many people, this branch of the Kabbalah is the most dubious, and its presence causes some of us to raise our eyebrows at the whole enterprise. For others, though, practical Kabbalah is, like its name implies, Kabbalah put into practice; while seemingly the least rational, many practical Kabbalists (including their contemporary heirs) say: try it. Put it into practice, or visit someone who is learned enough to do it for you. And see what happens. If theosophical Kabbalah is about knowing and influencing the Divine realms, and prophetic Kabbalah is about experiencing the Divine directly, then practical Kabbalah is about using the knowledge of Divine and angelic powers to influence life on this world. In a way, it has the opposite trajectory from theosophical Kabbalah: not moving from this world to higher realms, but using higher realms to affect this world. As with all the streams, there both is and is not a separate corpus of practical Kabbalistic literature. On this site, for example, I have included topics such as reincarnation and the golem under the heading of “practical Kabbalah.” But accessing one’s previous incarnations was a central feature of Lurianic Kabbalah, which is usually seen as theosophical. And the methods used to create a golem are basically those of the Sefer Yetzirah, which is both theosophical and prophetic. So, as before, some of the same writers and even the same texts that propounded one “stream” of Kabbalah here describe another. At the same time, just as with other streams, there are some texts which are almost exclusively ‘practical’ in nature. Sefer Raziel, for example, has little of Cordovero’s philosophizing — but many magical formulae, angelic names, and spells to be used for protection. There is also a more keen awareness of practical Kabbalah on the part of theosophical books such as the Zohar, which explicitly demeans the use of Kabbalah for earthly gain or protection, and which — like many theosophical texts — considers practical Kabbalah to be a disgrace. Your own attitude toward practical Kabbalah may well be similar. Do a simple Google search and you’ll find hundreds of dubious websites about the “Qabalah” based on the magical writings of Aleister Crowley or the ill-informed speculations of the blogosphere. Practical Kabbalah seems, and often is, less intellectually rigorous, less spiritually uplifting, and largely about magic (more on that term below) and hocus-pocus. This judgment is perfectly acceptable to hold, and is shared by great Kabbalists for centuries, but it’s important to be aware of your biases, and be open to reconsidering them. First, we should be mindful of the fact that practical Kabbalah is almost surely the most widespread of the Kabbalistic streams. For every one rabbi speculating on tiferet, yesod, and malchut, there are hundreds of women wearing charms or chanting magical formulae to protect their children. If you come from a Jewish background, you’ve probably heard your grandparents say kein ayin hora, an utterance meant to keep away the “evil eye.” In Israel today, there are dozens of Kabbalists who dispense blessings or charms or segulot (basically, bestowals of magical protection or advantage), and they are widely known, particularly in the Sephardic and Edot Mizrach communities — far more than the abstruse writings of Abulafia. So, practical Kabbalah is quite widespread. Of course, much of this is basically folk belief or superstition, but that simply begs the sociological question of why superstitions are so prevalent. Practical Kabbalah answers the real needs of people in distress. The fascinating figure of Lilith, for example, is associated in practical Kabbalah with childbirth, and the many ways it can go wrong. Whatever we may think of Lilith as a demonic power, surely it is easy to understand how pre-industrial people saw the mystery of childbirth, or the tragedy of miscarriage. This is serious business, and the human desire to understand or control the seemingly random forces of nature is quite serious as well. Third, practical Kabbalah is often older than its theosophical or prophetic counterparts. 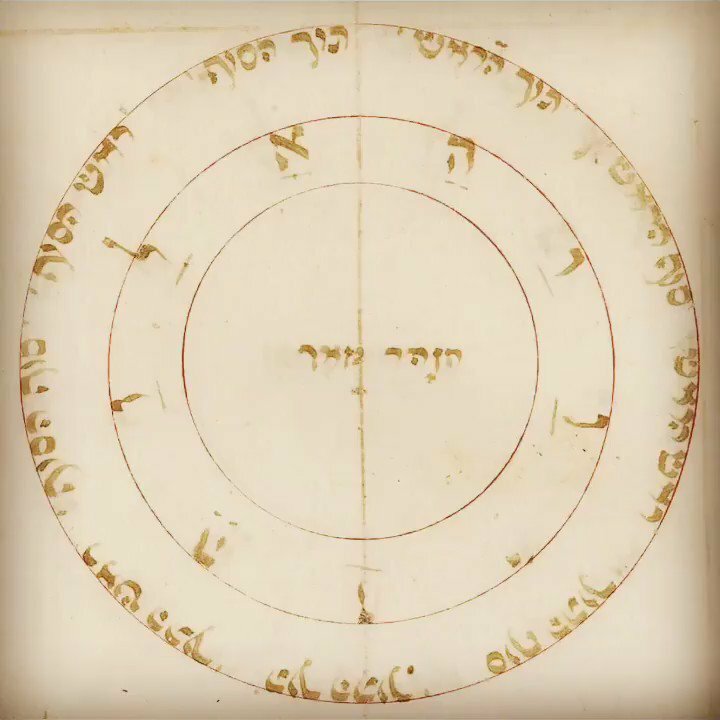 The use of angelic names in Sefer Raziel, for example, is likely closer to their original, magical significance than the way they are arrayed in, say, the Zohar, or even the much older Hechalot literature. Likewise, scholars believe that many of the permutations of language that mark the prophetic Kabbalah originated in magical formulae and the combinations of letters used in soothsaying and divination. If we believe practical Kabbalah to be more “primitive” than other forms of Kabbalah, then this is not surprising; of course, that which is less sophisticated comes before that which is more. Then again, there is a certain importance to the most ancient roots of these ancient teachings. Finally, I find it useful to tease apart the obvious abuse of practical Kabbalah by egotists and charlatans on the one hand, from the deep understanding of what magic actually is on the other. We’ll go into depth about the second topic on the next page, but let’s at least entertain the belief that it is not reducible to the first. That is, yes, there are hucksters out there — but that doesn’t mean there aren’t also forces we don’t understand, both in the universe and in the deepest levels of ourselves. Practical Kabbalah represents hundreds, if not thousands, of years of human attempts to probe the infinite energies of their inner and outer worlds. It speaks in the languages of myth and magic, because those are often the best ways to express the non-rational, often sinister forces that exist within and without. Let’s neither believe nor disbelieve, but investigate.